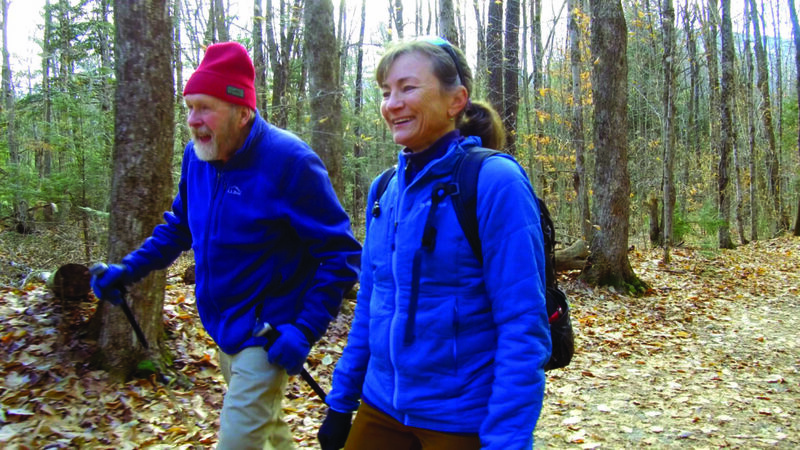 DURHAM – For many hikers, climbing New Hampshire’s forty-eight 4,000 foot mountains is a brass ring unto itself, but for Sue Johnston, it was just a start. In 2016, Johnston became the first woman to complete The Grid – climbing each of the state’s forty-eight 4,000 footers once a month, every month of the year – in a single calendar year. She joined WINDOWS TO THE WILD host Willem Lange recently to discuss why she pursues her extreme hiking goals. Even for a seasoned hiker, The Grid is a massive achievement. When she first started working her way through New Hampshire’s 48 tallest mountains twelve different times, only one other person had completed The Grid. “It’s an amazing feat to even imagine,” notes Vaughn. Viewers can find out more about Johnston and her impressive list of accomplishments on the next episode of WINDOWS TO THE WILD, airing Wednesday, February 13 at 7:30 pm. and online at nhpbs.org/windows.